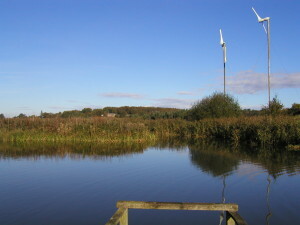 A lake created in the grounds provides a further source of electricity generation. 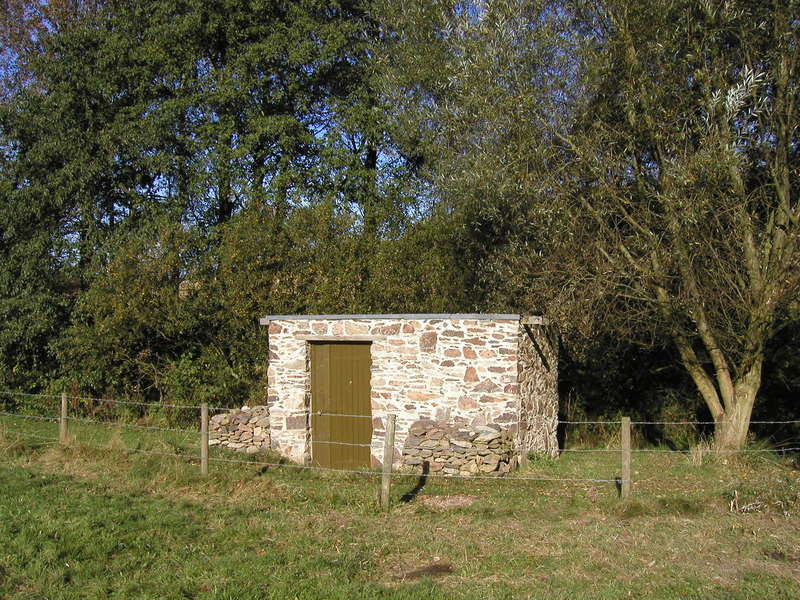 A building constructed out of local stone sits at the bottom of an adjacent field, and houses two water turbine systems. 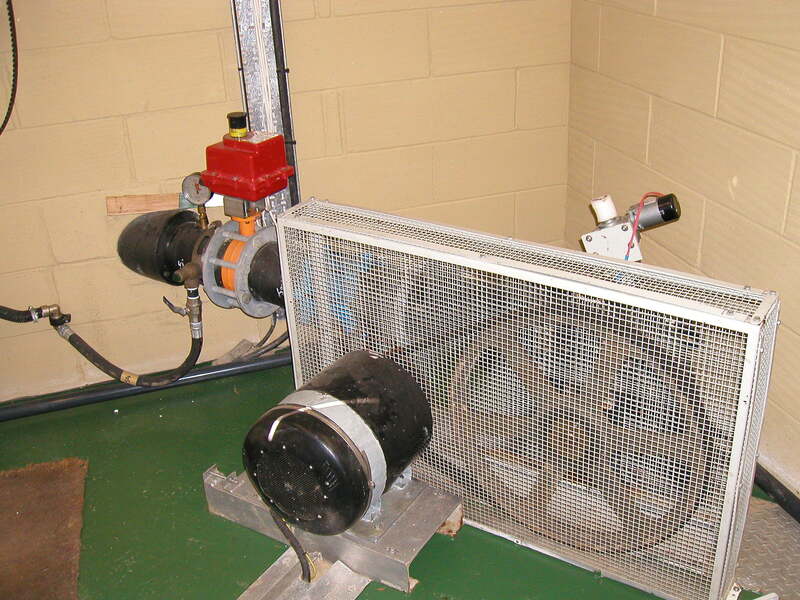 The larger, which uses the 20m gross head between the turbine house and the lake, powers a 2.2kW synchronous generator. 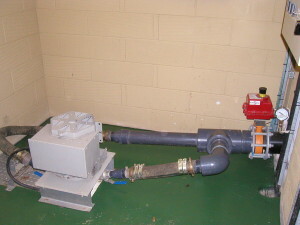 The smaller turbine is powered by the water flowing in a stream outside the building, and generates up to 850W after rainfall in the summer, and more constantly during the winter.